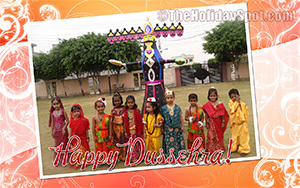 One of the most sacred Hindu occassions, Dussehra is celebrated in the Hindu month of Ashvin (September-October as per the Gregorian calendar). 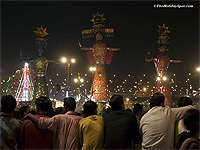 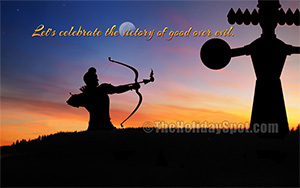 The last day of the grand Navratri festival, Dussehra is a sparkling festival on its own right. 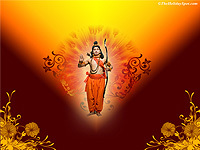 Celebrate Dussehra on your desktop with our beautiful wallpapers themed to the occassion. 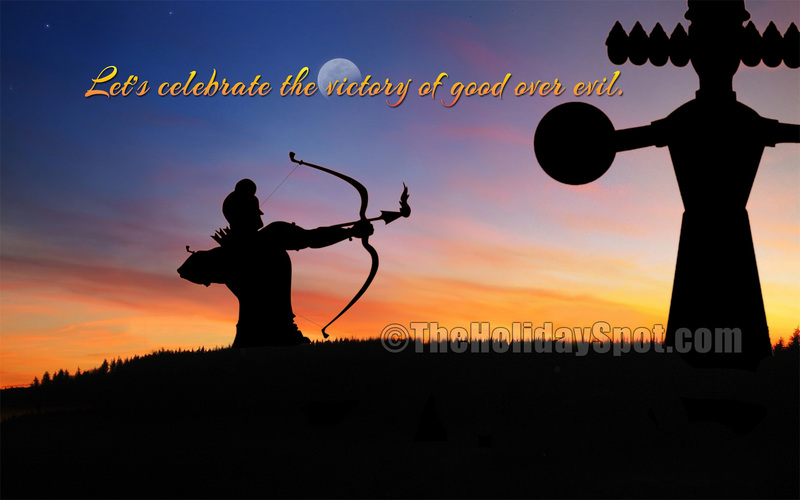 Set these onto your your PC screen and bring the celebrations alive in your home. 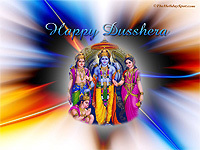 If you want to send any of these cool DUSSEHRA WALLPAPERS to your friends and loved ones, we have also kept that provision underneath each wallpaper thumbnail. 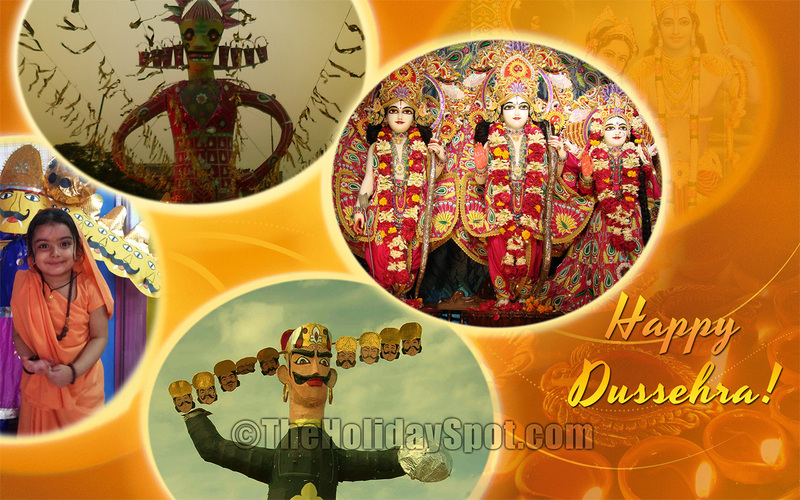 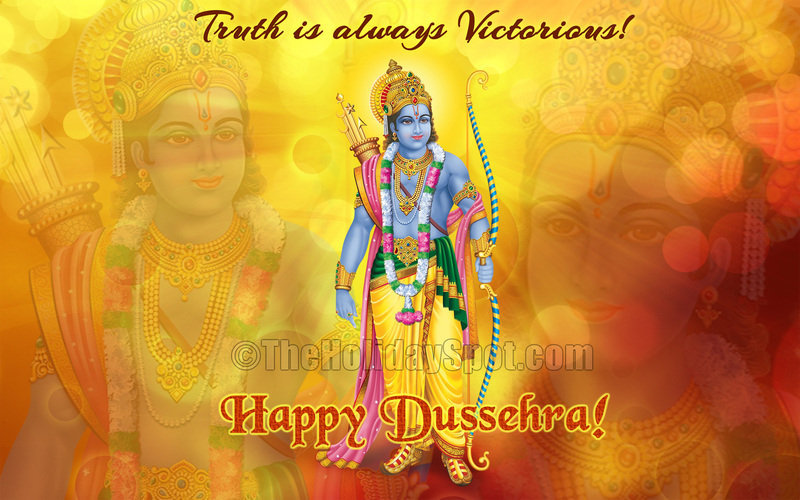 If you like to share the entire collection of Dussehra wallpapers with your loved ones, just click here and refer this page to them. 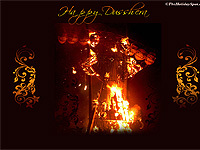 Wish you a Happy Dussehra!